Item # 312125 Stash Points: 3,995 (?) This is the number of points you get in The Zumiez Stash for purchasing this item. Stash points are redeemable for exclusive rewards only available to Zumiez Stash members. To redeem your points check out the rewards catalog on thestash.zumiez.com. 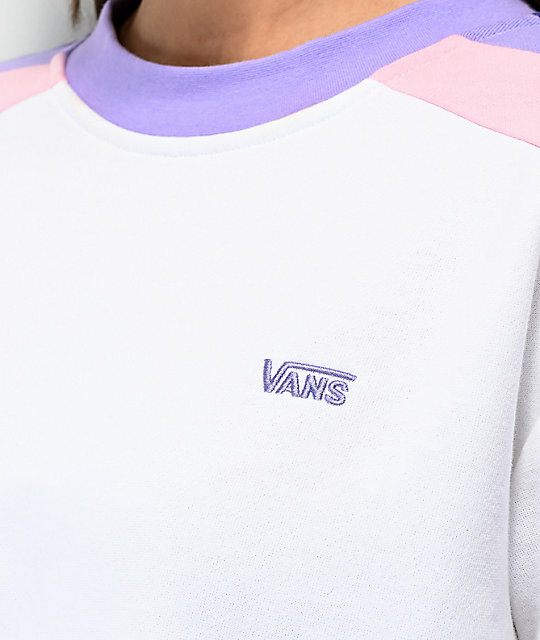 Rock a comfortable new layer from Vans with the Rainee White Crop Crew Neck Sweatshirt. This lightweight crew neck sweatshirt features a cropped silhouette and a ribbed crew neck collar. 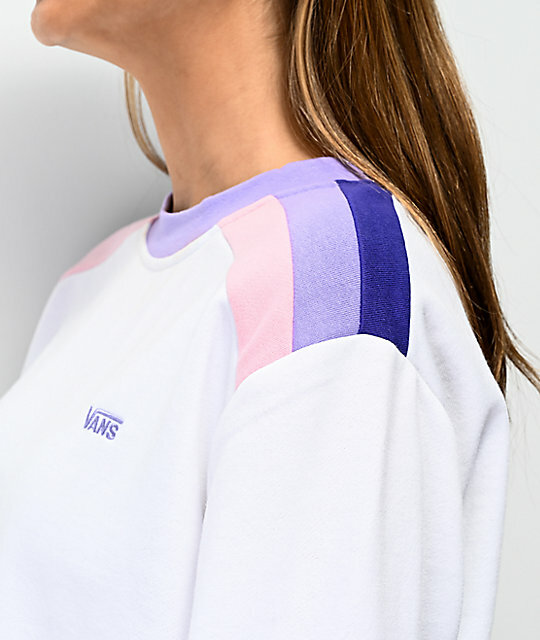 Pink, lavender, and dark purple panels are located at both shoulders, while the purple crew neck collar adds a pop of contrast. 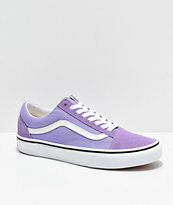 The look is complete with a Vans logo embroidered at the left chest, creating a garment perfect for cool summer nights. Rainee White Crop Crew Neck Sweatshirt from Vans. 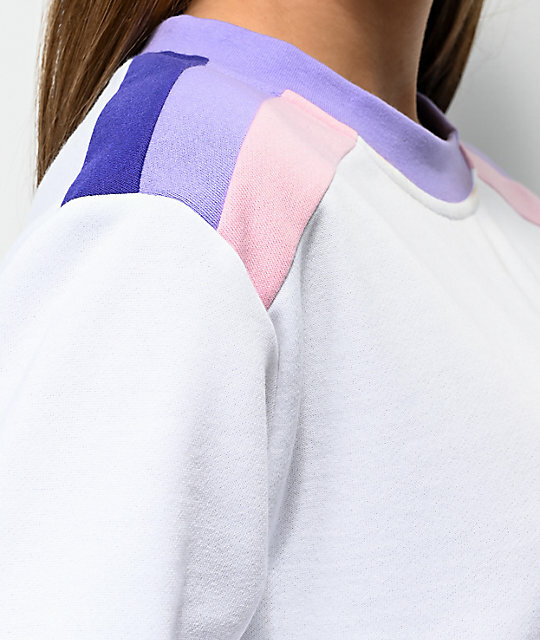 Pink, light purple, & dark purple colorblocked panels at both shoulders. Embroidered Vans logo at the left chest. 19" (49cm) from the shoulder to the bottom hem.